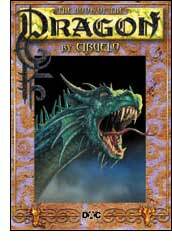 Originally publisher by Paper Tiger in 1992, this bestselling book took the fantasy art world by storm and quickly earned international recognition for Ciruelo. This new revised edition brings to life the myths and legends surrounding the dragon with over 80 colourful illustrations. The CD-ROM of this book is now out of print.